ns where nr is the speed of the rotor. Because an increasingly negative slip causes increased generator torque while any positive slip causes the generator to behave like a motor, it is desirable to limit the magnitude of allowable slip such that the rotor speed is uniform within a tolerance of 1%. Wind turbines with asynchronous generators and direct grid connection must then operate within a relatively narrow speed range, such that they are referred to as fixed-speed wind turbines. 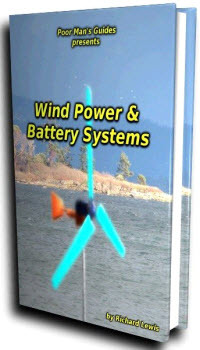 Fixed-speed wind turbines often have two fixed speeds, as enabled by incorporating either two generators with different ratings and pole pairs or a single generator with two sets of windings . The fixed speed system was the design used by Danish manufacturers between the 1980s and 1990s , and is thus considered to be the ''traditional'' layout. A standard squirrel-cage induction generator, which has stator windings connected to the load/excitation source and rotor windings consisting of electrically connected bars of conducting metal surrounding a soft iron core, has been the most popular choice for electrical power conversion. Because the rotor speed is relatively low (20 rpm), a multi-stage, speed-increasing gearbox is required with fixed-speed systems. 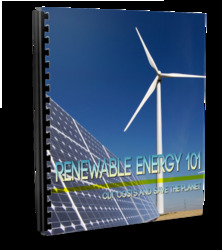 Since the late 1990s, many wind turbine manufacturers started placing increasing focus on variable-speed wind turbines, wherein the operating speed of the rotor and generator varies with wind speed. There are a number of advantages in using variable-speed wind turbine systems, in particular the possibilities to reduce stresses of the mechanical structure, to reduce noise, and to provide better control over the generator power [19, 20]. Variable-speed turbines typically incorporate a multi-stage gearbox and a doubly fed induction generator (DFIG). The DFIG contains windings within both the rotor and stator sections. The power that is generated within the stator is directly connected to the grid, while the induced power from the rotor windings is routed through a frequency converter to the electrical grid. Because only the power from the rotor assembly is fed through the frequency converter, the converter is typically rated as a percentage (approximately 30%) of the full generator power. It must be noted that DFIGs require a slip ring assembly to transfer power between the rotor windings and the stationary electronic components. Because the slip ring wears over time, it requires periodic maintenance and is a source of added cost . Most recently, manufacturers have developed variable-speed wind turbines that incorporate synchronous, low-speed generators with no gearbox—these are known as direct-drive wind turbines. The generator produces variable frequency output that is proportional to the rotor speed. However, the output power from the low-speed generator is routed through a full-power frequency converter that changes the generator output power frequency to the 50 or 60 Hz that is required by the grid. Although it can be argued that direct-drive turbines improve reliability and lower cost by removing the gearbox, studies  have shown that the increased size, weight, and cost of a low-speed generator and full power converter (as compared to a partial converter) oftentimes compensates for the loss of the gearbox.